BlackBerry is having a rough time in the market today. However, based on fundamental news the company released, the stock may see strong upward movement soon. Unfortunately, we’re not seeing that reaction today as a result of economic concerns leading to market-wide declines. Nonetheless, today, we’ll talk about the news that was released and why BBRY likely has a strong future ahead. “Sometimes it can be very tough to let go. For BlackBerry, and more importantly for our customers, the hardest part in letting go is accepting that change makes way for new and better experiences. For now, if the Class is still your device of choice, please check with your carriers for device availability or purchase Classic unlocked online. We continue to actively support BlackBerry 10 with software updates and are on track to deliver version 10.3.3 next month with a second update to follow next year. 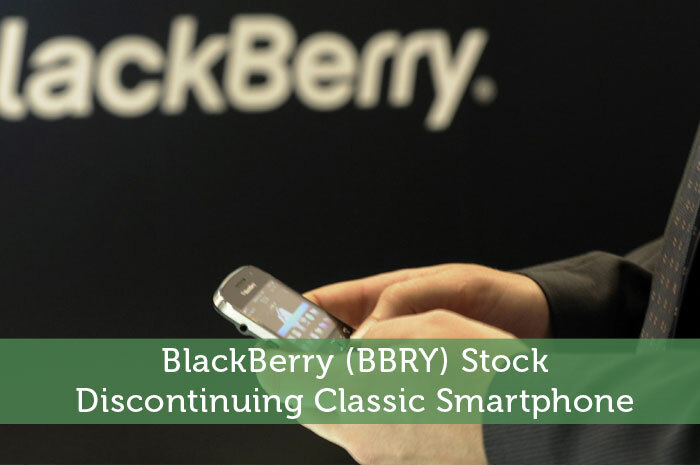 BBRY has long struggled in the market since it lost control of the smartphone industry. Unfortunately, at this point, the company only holds less than 1% of the market share, and needs to work to improve this. While BlackBerry Classic was once a very popular phone, that’s not the case anymore. Today, the product costs more than is worth maintaining. Nonetheless, this opens the door to focus on new, bigger, and better things. In fact, the launch of the BBRY Priv went incredibly well. This showed that if the company focused its efforts on taking advantage of the popular Android operating system, sales would likely climb. Now, the company is working on 3 new phones that run on the Android operating system, and I’m expecting these to be popular. At the end of the day, as the company makes the shift to creating newer, and better phones, we’re likely to see handset profitability down the line. This should lead to big gains in the long run. Where do you think BBRY is headed moving forward and why? Join the discussion in the comments below! Interesting report Josh. It’s tough to see an company get squashed out of their original market, but exciting to see how they adapt and make moves. I don’t think we’ve seen the last of BBRY. I hope they come out of this transition stronger than ever.